The Weber Smokey Mountain is one of the most popular charcoal powered food smokers on the market. It has virtually revolutionized barbecue, bringing this and almost anything that can be smoked to the backyard reliably and easily. The 14.5-inch version of this smoker is small and won't be smoking food for an army, but it will allow anyone to be able to smoke a few racks of ribs or a whole chicken or two with authentic flavor. It is small, but if the need is equally small, this smoker is efficient, doesn't require lots of charcoal, and can be mastered in an afternoon. The Weber Smokey Mountain Smoker has been a mainstay of barbecue since it was introduced. Easy to use, able to maintain temperatures for many, many hours, and capable of producing great barbecue the Weber Smokey Mountain has been a regular on the barbecue competition circuit and so popular it has fan pages on the internet. This new version is small. Really small. It won't smoke a pair of full sized briskets or even whole racks of ribs without cutting them in half, but it will smoke plenty for the person who doesn't have a lot of mouths to feed. 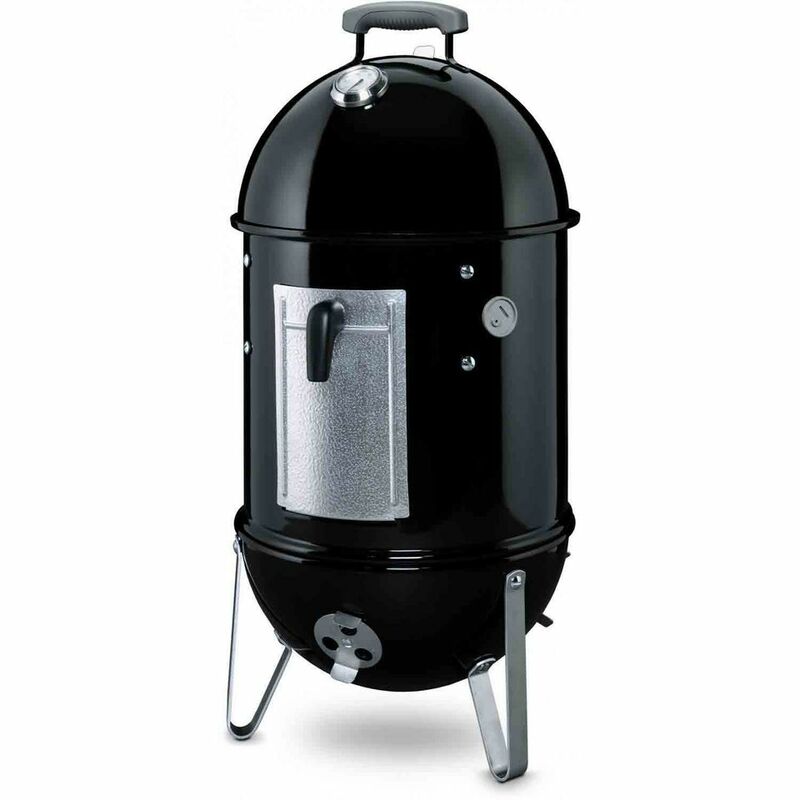 In fact, it might be the perfect little charcoal smoker for the empty-nester, RVer, or the small family. One of the things that makes this a great smoker is the durability of the construction. I know people who travel the competition circuit with these smokers and unload, smoke and pack them up once or twice a week and you wouldn't think they had seen any more action than sitting covered on your patio. The porcelain-enamel coating on these units is highly durable and prevents rusting of the heavy gauge steel. This is one smoker that you will use because it is easy and will last for years. This smaller size makes this version perfect for taking on the road. On the one downside, the front access door is a little flimsy so you should be careful not to bend it out of shape. The upside of this is that you can "custom" fit it so that it holds in the smoke better.